NOTICE: Your system is not optimized and your computer performance is not at the highest level. Full system optimization will greatly increase your computer’s performance and prevent data loss. 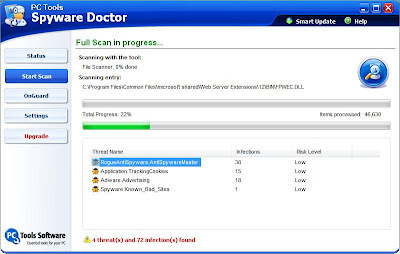 The Spyware doctor is a very reliable application that can be used whenever we see symptoms of scamwares & spywares.